Everybody is a fabulous dancer after visiting the distillery at Casa Herradura, and they need a fabulous place to party. 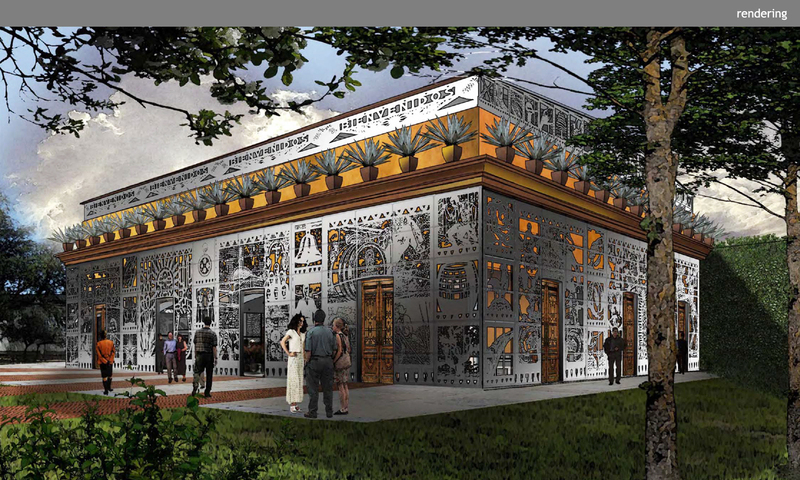 The tequila brand welcomes over 45,000 visitors every year to its beautiful homeplace in Amatitán, Mexico. Guests are offered tours of production facilities both historic and modern, and many stay on for an afternoon that includes dining on regional cuisine, performances, and of course, tasting tequila! 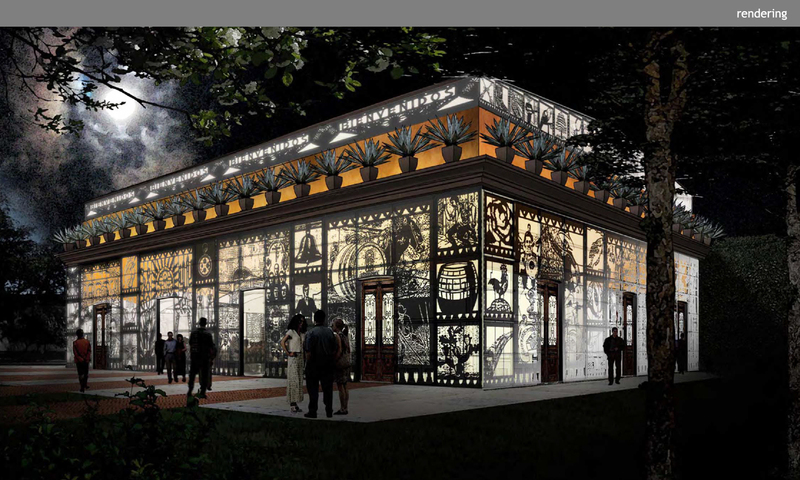 The pavilion is designed to provide a spectacular space for these festivities and become a lantern showcasing the fascinating history of Herradura through cut-metal panels based on traditional papel picado, or cut paper imagery.